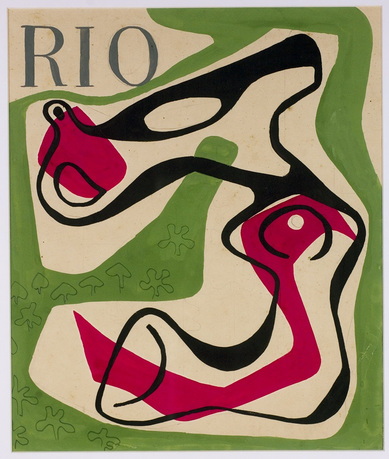 Roberto Burle Marx, cover design for Revista Rio, late 1940s, Rio de Janeiro, Brazil. Courtesy of Sitio Roberto Burle Marx. 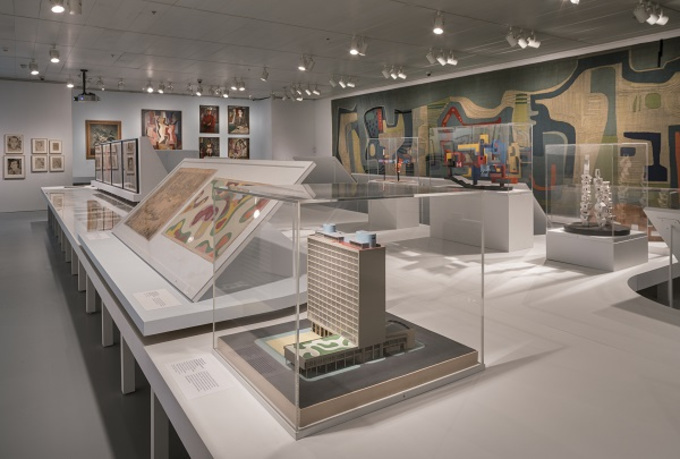 Roberto Burle Marx: Brazilian Modernist is a survey exhibition of one of the most prominent landscape architects of the twentieth century, whose projects range from a remarkable intervention on Rio de Janeiro's Copacabana Beach to the gardens of Brasília. 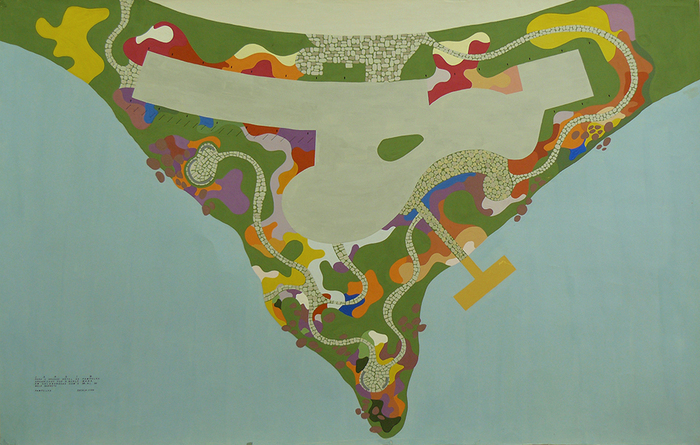 Burle Marx (1909–1994), while best known for his gardens, was also an artist, textile designer, sculptor, and polymath. 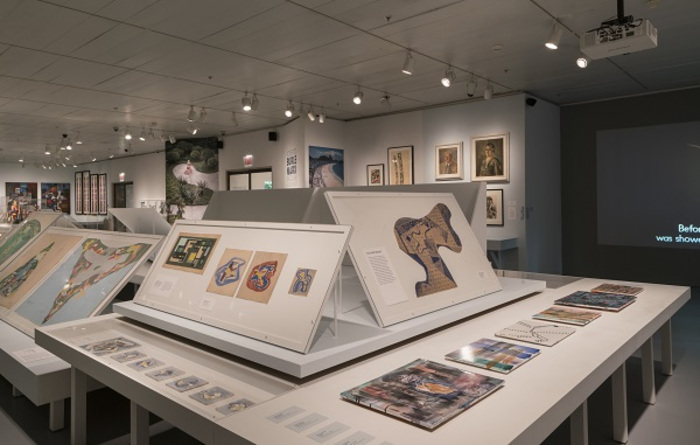 This exhibition presents the full spectrum of his wide-ranging design and artistic output, and is the first US-based survey exhibition of his work in twenty-five years. 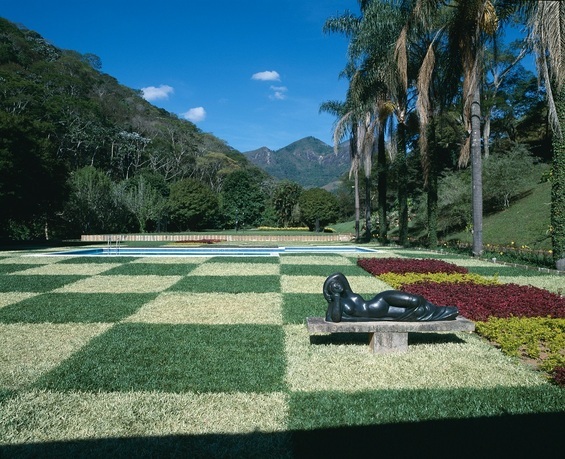 A pioneering environmentalist who cultivated native Brazilian species, he embraced modernism, and used abstraction, sinuous lines, local foliage, and colorful flora to revolutionize landscape architecture. The show includes seven contemporary artists whose works are inspired by Burle Marx and a tour is planned to two additional venues. A catalogue published by Yale University Press accompanies the exhibition. 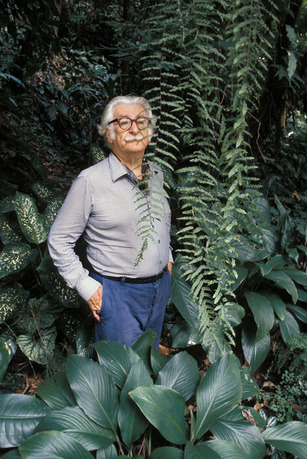 Roberto Burle Marx (1909–1994), Brazilian landscape architect, painter, printmaker, ecologist, textile designer, and musician, is renowned for his park and garden designs. Burle Marx's father was a German Jewish emigrant to Brazil. His Brazilian mother was of French descent. 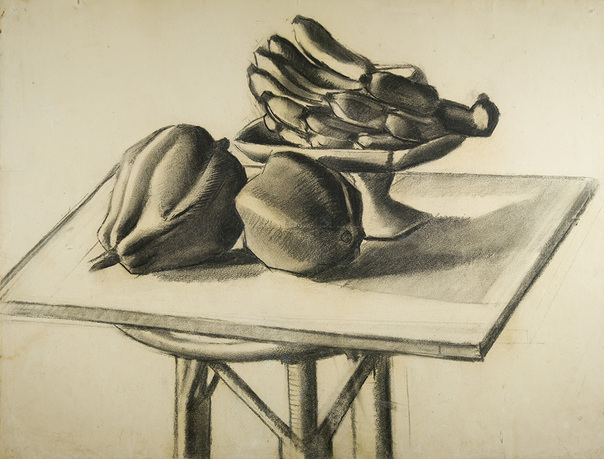 On a trip to Germany as a young man, he was inspired by arrays of tropical plants at botanical gardens; upon his return to Brazil, he began collecting plants. 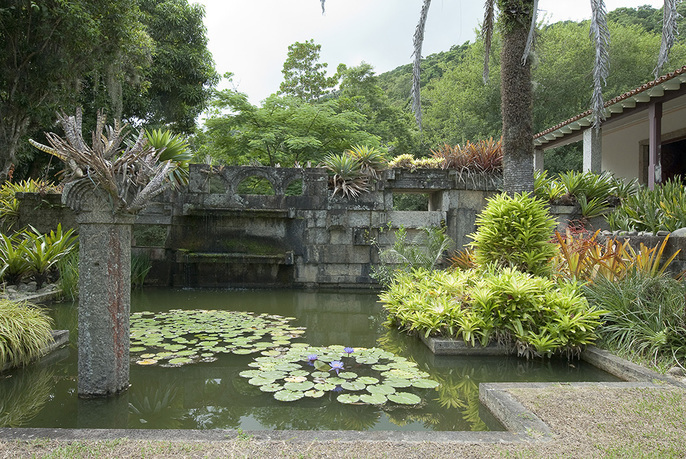 Burle Marx designed his first residential garden in 1932, and in 1955, he founded a landscape studio and company. In 1949, he acquired a 100-acre estate for his plant collection. Now a national monument, the estate houses 3,500 plant species. He was an explorer and advocate for Brazil's forests. Over thirty plants bear his name, and his key works include the Copacabana promenade, Ibirapuera Park in São Paulo, Flamengo Park in Rio de Janeiro, Parque del Este in Caracas, Cascade Gardens in Pennsylvania, Biscayne Boulevard in Miami, and Kuala Lumpur City Centre Park. Juan Araujo is a painter who appropriates images of iconic Latin American modernist architecture in his work. Solo shows have been held at the Inhotim Center for Contemporary Art, Belo Horizonte, Brazil (2013) and the Centro Gallego de Arte Contemporánea, Spain (2008). His work has been featured in group exhibitions in Sao Paulo, Nagoya, the UAE, and San Diego, as well as in the Mercosul Biennial, Porto Alegre (2007) and the São Paulo Biennial (2006). His work is held in several museum collections, including the Tate, London; the Museum of Modern Art, New York; Inhotim Center for Contemporary Art; and Museu de Arte Contemporáneo de Caracas. Paloma Bosquê’s work is informed by the formal and intellectual sensibilities of such Latin American artists as Lygia Pape, Lygia Clark, and Lenora de Barros, as well as concerns surrounding the body and surrealism, as pioneered by the work of Eva Hesse. Bosquê fuses abstract formalist concerns with unusual materials that take inspiration in organic substances and surfaces, as well as found objects (cotton paper and gold leaf, iron, and pine rosin). Her work has been exhibited in New York, Brazil, and the Netherlands. Dominique Gonzalez-Foerster is known for her videos, photographs, performances, and installations, as well as her work in landscape architecture and design. Solo exhibitions of her work have been organized by the Museo Nacional Centro de Arte Reina Sofia, Madrid (2014); the Irish Museum of Modern Art, Dublin (2013); the Dia Art Foundation, New York (2009); and the Tate Modern, London (2008). A major retrospective of her work is planned at the Centre Pompidou, Paris, in 2015. Luisa Lambri is known for her intimate, delicately crafted photographs of architectural interiors. Her work contrasts the rigid geometries of buildings with the atmospheric effects of light and shadow, and was included in the 1999 and 2003 Venice Biennales. Her solo exhibitions have been featured at the Baltimore Museum of Art; the Menil Collection, Houston; the Palazzo Re Rebaudengo, Guarene d'Alba; and the Hammer Museum of Art, Los Angeles. Her recent thematic exhibitions include Painting the Glass House: Artists Revisit Modern Architecture, Aldrich Contemporary Art Museum and Yale School of Architecture (2008), and The Shapes of Space, Guggenheim Museum, New York (2007). Arto Lindsay is creating a musical installation for the show. As a guitarist, singer, composer, record producer, and member of the band DNA, he was a founder of No Wave and has stood at the intersection of music and art for over four decades. Bandleader for the Ambitious Lovers, his subversive pop music is a hybrid of American and Brazilian styles. He has collaborated with artists such as Vito Acconci, Laurie Anderson, Matthew Barney, Caetano Veloso, and Rirkrit Tiravanija, and has been involved with Brazilian carnaval for years, where he has created avant-garde parades in many sites. Nick Mauss is known for his intricate drawings and sculptures, installations, and performances. He recreated Guerlain's Institut de Beauté Spa (1939) in Paris for the 2012 Whitney Biennial. For Frieze London in 2014, he commissioned a ballet in collaboration with Kim Gordon, Juliana Huxtable, the Northern Ballet Company, and others. His recent solo exhibitions were at Fiorruci Art Trust, London (2014); Bergen Kunsthall (2013); MD 72, Berlin (2013); Independenza Studio, Rome (2012); 303 Gallery, New York (2012, 2009); and Midway Contemporary, Minneapolis (2011). His group exhibitions have included the Museum of Modern Art, New York; the Walker Art Center, Minneapolis; and Artists Space, New York. 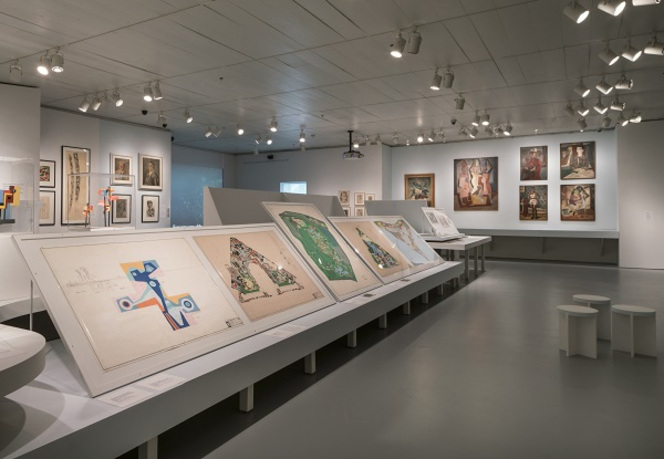 Beatriz Milhazes is known for her colorful collages, prints, paintings, and installations, which draw on Latin American and European motifs. Milhazes's abstractions reflect arabesque motifs inspired by Brazilian culture, ceramics, lacework, carnival, music, and colonial architecture. Milhazes represented Brazil at the 2003 Venice Biennale. Recent solo exhibitions were at the Perez Art Museum, Miami (2014); Paco Imperiale, Rio de Janeiro (2013); Fondation Beyeler, Basel (2011); and the Foundation Cartier, Paris (2009). She is featured in several museum collections, including the Guggenheim Museum, the Metropolitan Museum of Art, the Museum of Modern Art, the Carnegie Museum of Art, the Museo Nacional Centro de Arte Reina Sophia, and the Twenty-First Century Museum of Contemporary Art, Kanazawa. 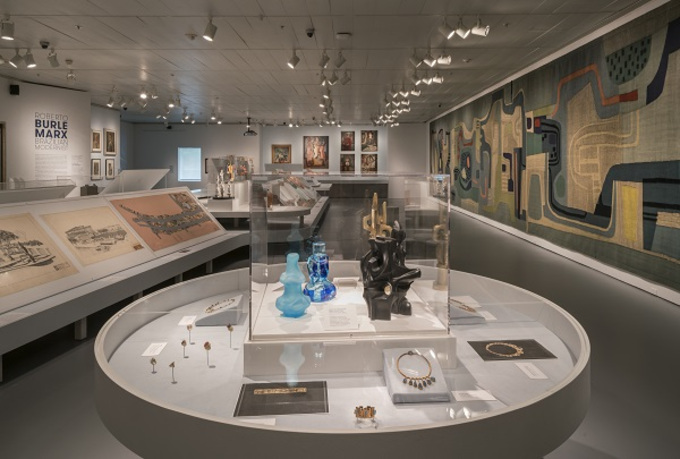 Claudia J. Nahson is the Morris and Eva Feld Curator at the Jewish Museum, with a concentration in Judaica. In her twenty-three years at the Museum, she has curated a number of exhibitions, including four on Jewish artists who are acclaimed authors and illustrators of children's books: The Snowy Day and the Art of Ezra Jack Keats (2011); Curious George Saves the Day: The Art of Margret and H. A. Rey (2010); From the New Yorker to Shrek: The Art of the William Steig (2007) and Wild Things: The Art of Maurice Sendak (2005). She also organized the 2012–13 Jewish Museum presentation of Crossing Borders: Manuscripts from the Bodleian Libraries. A native of Uruguay, she studied at the Hebrew University of Jerusalem, focusing on Jewish and medieval Christian art. Galia Solomonoff, exhibition designer, is the recipient of two AIA Design Awards, grants from the New York Foundation for the Arts and the National Endowment for the Arts, and recognition from the Architectural League of New York's Emerging Voices series. In 2004, she founded Solomonoff Architecture Studio, an award-winning firm known for its carefully tailored and precise work, which emphasizes designs that are both unexpected and practical. Solomonoff's many architectural commissions include a collaboration with the artist Robert Irwin on the conversion of former Nabisco box printing facility for the Dia Art Foundation in Beacon, NY.